I actually shot the photos for this post months ago, it was kind of a 'I don't have any outfit shots and it's raining everyday so lets get some back-up photos' time but then I managed to get the outfit shots I wanted and these got a bit forgotten about. But that doesn't mean it's not a post I really want to share, because it is! Hence why I'm sharing it now when I have two sets of outfit shots ready for my next posts. How very organised, I know! 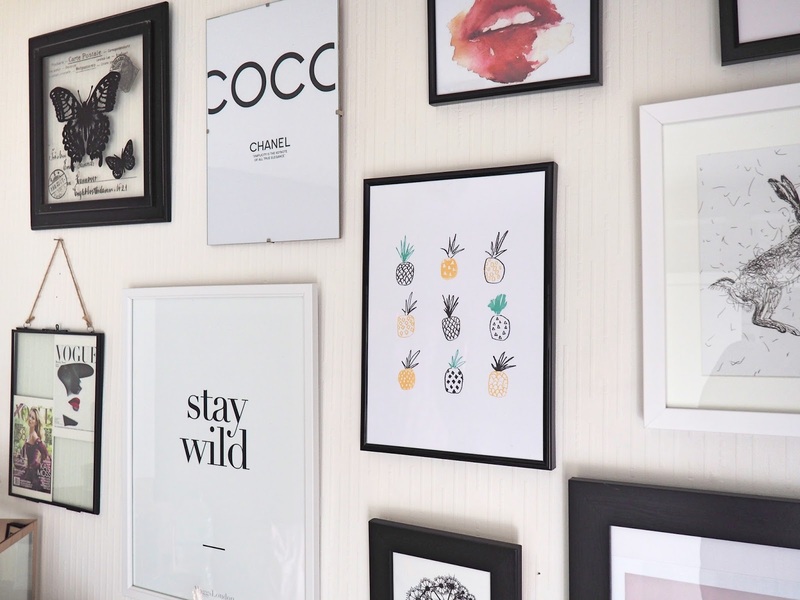 But I haven't actually decorated my room in so long, I wanted a bit of a change. I have plain white walls and laminate flooring and any changes I want to make are generally small changes, such as new bedding/curtains/accessories. 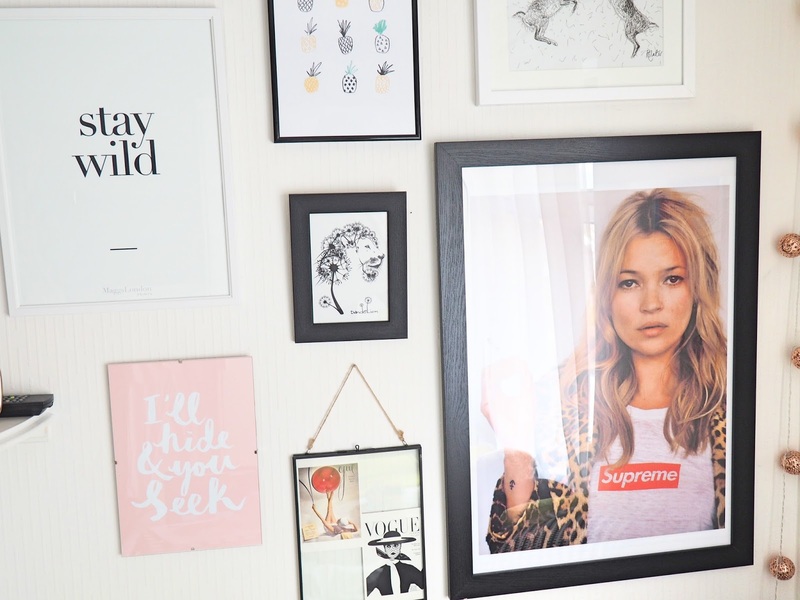 So I decided to make the wall above my bedhead a bit of a feature wall for artwork. I scoured the internet and have somehow ended up with this little collection. First up, how can I not talk about Kate? 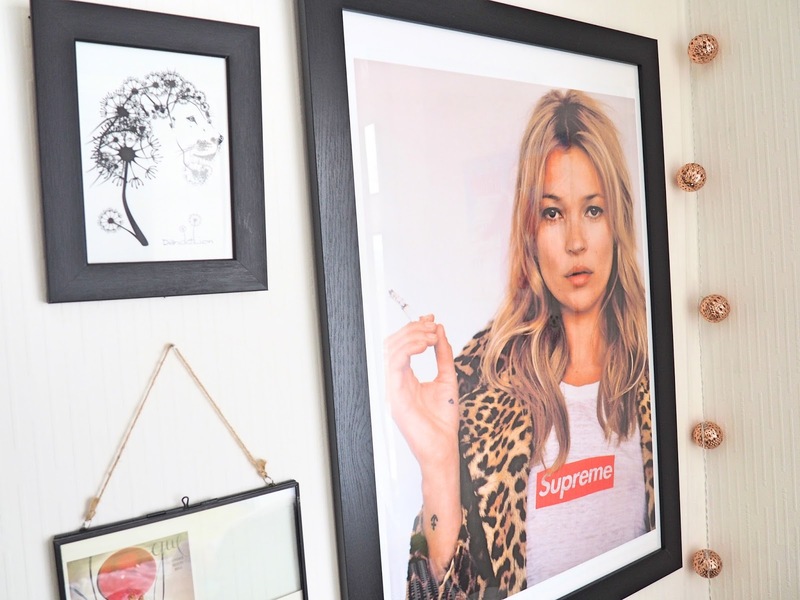 I got this Kate Moss poster off of eBay and the frame for it from The Range. 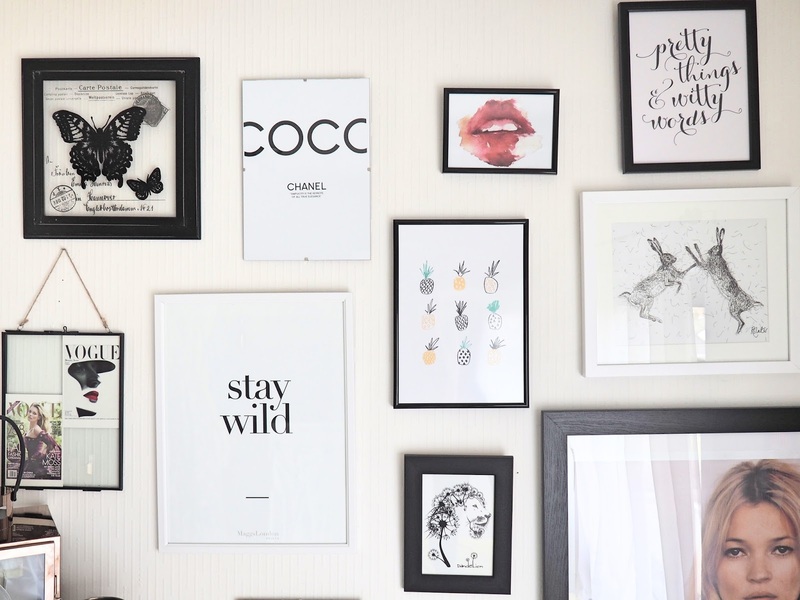 In fact, I think all of the frames I got are from there, super cheap and perfect for what I want. This is just such an iconic picture of Kate and I've wanted it for so long. Stef & Hannah Michalak are my absolute favourite ~vloggers to watch. The quality of their videos is incredible and I just admire them as a family so much. So when they brought out the MaggsLondon prints I 100% had to get one in support of them. 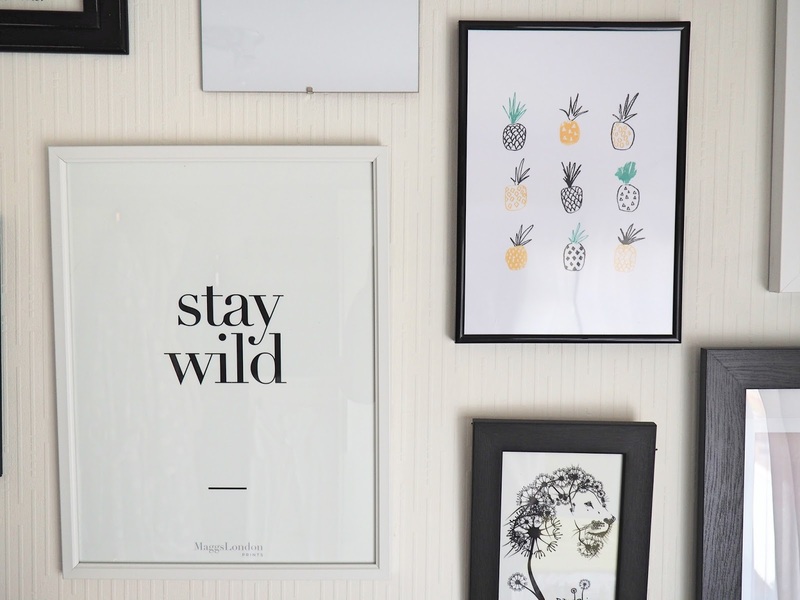 I got the 'Stay wild' print and love the simplicity of it all. 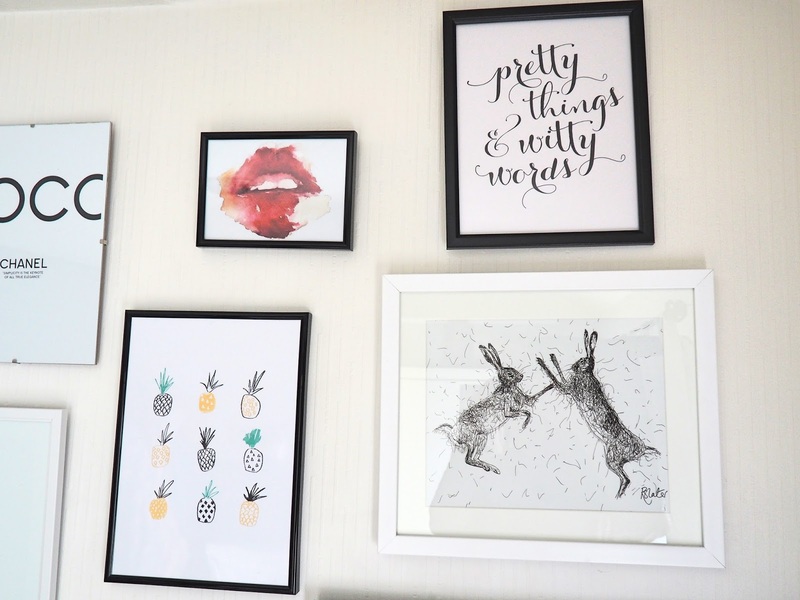 When I was browsing Etsy I found Macarons&Mimosas, which an amazing shop for budget prints! I got the download versions which are perfect if you want them immediately, and have a printer handy of course! I only order the 'pretty things & witty words' quote but they sent me the Chanel one by mistake before realising, so I ended up with two for the price of one! Also from Etsy is the dandelion/lion print which I absolutely love for how unique it is! I got another 2 for 1 deal when I ordered the pineapple print from NouvelleDaily and the Hide&Seek print was included with a cute little surprise note! Another great little shop for picturesque prints. 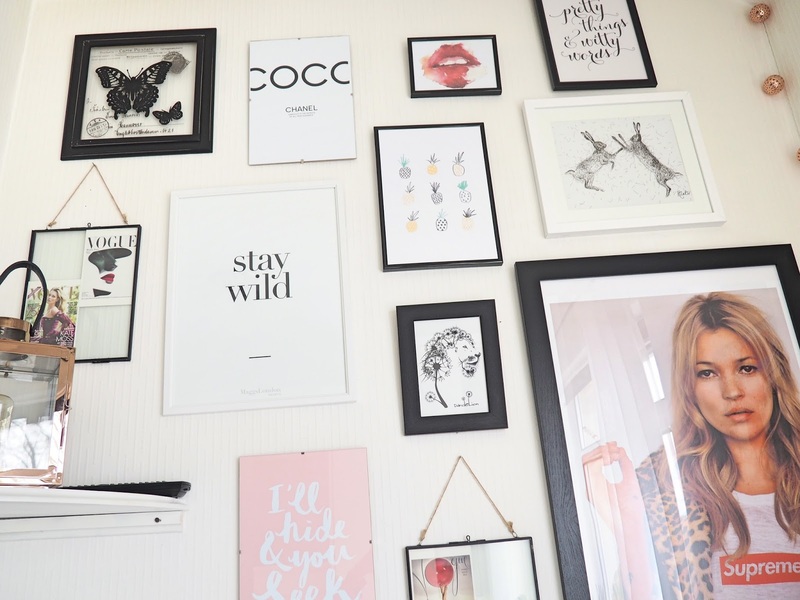 The Rabbits and Butterfly artwork are only from The Range along with all the frames, and the Vogue postcards were in a set, available here! Let's Talk: Dressing For Your Body Shape?